It is rightly said that “Virginia is for lovers. Follow your heart.” It is America’s most diverse state, with a captivating blend of rich history with a modern touch, enthralling natural beauty, pristine coaches, award-winning wines, lip-smacking local delicacies, and bustling city life. And to experience the best of this spectacular state, you would need to travel in style & class. We are America’s premium charter bus rental company, with a fleet of top-notch vehicles that has redefined the concept of group transportation. Count on us for all your transportation needs in Virginia for any type of event, whether it’s a grand wedding, a sightseeing tour, sports events, airport shuttles, corporate events, wine tours, school field trip, casino trips, and many more! We offer excellent quality charter bus rental services throughout the state, including Virginia Beach, Richmond, Alexandria, Hampton, Portsmouth, and other surrounding areas. What makes Charter Everything a leader in charter bus rentals is our commitment to deliver superior customer service and hassle-free and comfortable travel experience! Renting a deluxe charter bus has never been so easy. Book a luxury bus for any group size and with any itinerary! From 10 passengers to 5000, it takes only 3 simple steps to rent a charter bus in Virginia. With Charter Everything, you have the option to choose the right charter bus that suits your group needs. We have the finest fleet of numerous luxury buses in any given city to choose from. Having over 25 years of charter experience, we ensure the highest standards of customer satisfaction. If you are seeking a charter bus transportation service like no other, then sit back and relax, leaving the trip planning and execution to us. Just give us a call, and our reservation specialists will craft the perfect group transportation solution for you in minutes. Change in plans? We are available 24/7, 365 days a year to seamlessly incorporate your last minute changes. We boast a team of trained Virginia-based chauffeurs who ensure that the passengers arrive safely and time every time, leveraging their local knowledge of routes, current roadworks, and traffic delays. Virginia is a fabulous amalgamation of natural delights, intriguing history, amazing food & drink, architectural marvels, and limitless entertainment. Exploring this ravishing state is a sheer delight for travelers. Charter Everything adds to the experience by offering fantastic charter bus rentals that will make transportation in Virginia most stress-free and comfortable. 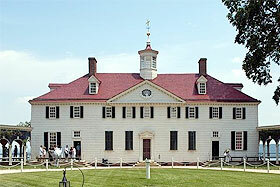 Whether your group includes 10 passengers or 61, we have the right vehicle for your Virginia sightseeing tour. 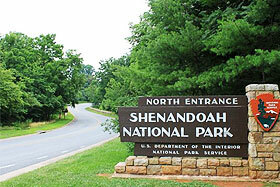 Enjoy the breathtaking view of lush scenic beauty at Shenandoah National Park or indulge into fun-filled activities at Virginia Beach. Visit the homes of the presidents – Mount Vernon and Monticello, or explore the natural wonders of Natural Bridge Luray Caverns, and the barrier islands of Chincoteague and Assateague. There are numerous places to visit in Virginia, and what can be better than a state-of-the-art charter bus or minibus rental to enjoy its beauty with your family & friends. Charter Everything Inc. is proud to offer a gamut of excellent quality charter services at an affordable price. Our vast selection of vehicles helps us meet your diverse transportation needs, big or small. Corporate Events: If your organization is planning an important event that needs quality group transportation services, count on us for safe, reliable and timely services. Whether it’s an offshore business meeting, trade show, or conference, we can offer the right selection of luxury charter buses or executive minibusses, point-to-point pickup and drop off, airport shuttles, and anything in between. 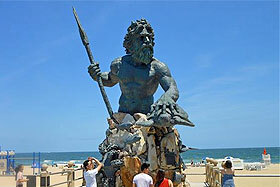 We can also help organize rewarded corporate tours for your clients or employees, anywhere in Virginia. We have been successfully serving our corporate clients for over 25 years, offering customized packages and high-end vehicles that are appointed with high-speed Wi-Fi, electrical outlets, DVD players, plush reclining seats, plasma televisions, and even arrangements for TED Talk can be made on special request. Forget about navigation, traffic and other hassles on road; our experienced local chauffeurs will take care of everything. Wine Tours: The beautiful state of Virginia is home to some of the finest breweries and vineyards in the world. We offer dedicated charter services for enchanting wine tours where you can indulge in food & wine, exotic wine tasting, and other fun-packed activities. Some of the best vineyards and breweries to visit are Barboursville Vineyards, Barrel Oak Winery, North Gate Vineyard, Desert Rose Ranch and Winery, and Corcoran Brewing Company. Book our 38-seater executive minibus or avail a luxury charter bus, if this is to large rent a sprinter shuttle van service for an unforgettable & enjoyable trip to Virginia’s famous vineyards. Sports Events: Planning a trip to upcoming sports events in Virginia? 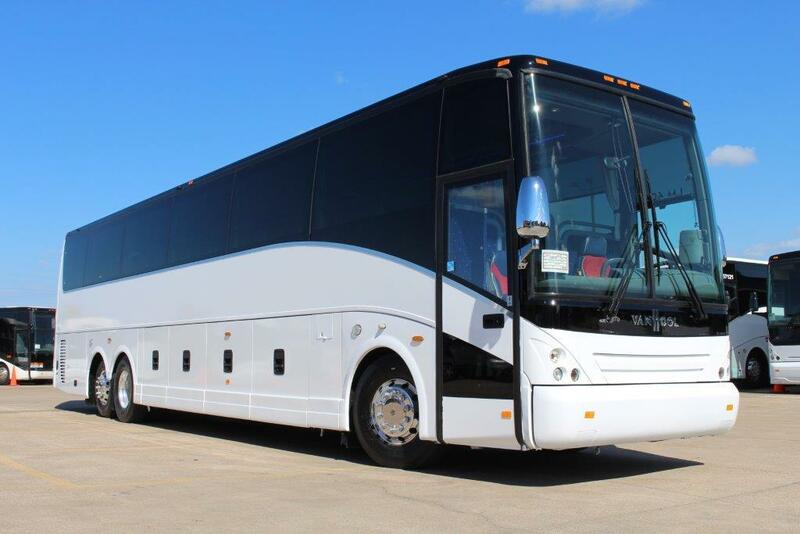 Whether you want charter bus service for a team of players or mini bus rentals for a group of die-hard fans, we can help you choose the perfect bus that fits your requirements. Our full-sized deluxe motor coaches have 49-61-passenger capacity, and can comfortably fit all your team members, coaches, and staff. Oversized luggage compartments can seamlessly accommodate all sports equipment and baggage. You can also hire our 20-30 passenger minibus to take you and your friends & family right to the game you are looking forward to. Our vehicles are scheduled to arrive 15 minutes earlier so that you are always ahead of time. Casinos & Night Out: Vibrant nightlife and entertainment await you in the marvelous state of Virginia. For a memorable night out with your friends, hit up one of the luxury casinos and try your luck on the poker table, slots, roulette, racetracks, or other classics. Stop over at a cocktail bar to enjoy a specialty drink, and dance the night away under the disco lights. Don’t have a ride? Entrust Charter Everything with the responsibility to arrange safe & reliable transportation services for your group. We have world-class private party buses, specially designed to give you the feel of a VIP with energy & excitement of a pulsating nightlife trip in Virginia. Book a luxury charter bus rental with us today! Wedding: We also offer charter bus service for weddings, bachelor or bachelorette party, bridal shower, rehearsal evening, and everything in between. Rely on Charter Every Thing for dedicated ground services, and forget everything about guest transportation on your big day. So what are you waiting for? Pick up your phone and contact us today to have the most competitive price quote for a professional charter bus rental in Virginia.